Welcome to Spitting Pig Sussex your local premier hog roast caterer. With many years’ experience providing the very best hog roasts and the freshest salads for parties and events throughout Sussex. 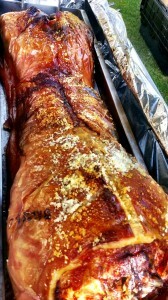 We really are Sussex’s expert hog and spit roast caterers. Having a wealth of experience under our belt – from catering at Rugby clubs and corporate functions to celebrity weddings and parties – we’re able to handle all events and occasions with absolute success. And with the help of our dedicated staff, having catered for events of all shapes and sizes, we’ll provide you with a fantastic service that’s truly without equal. 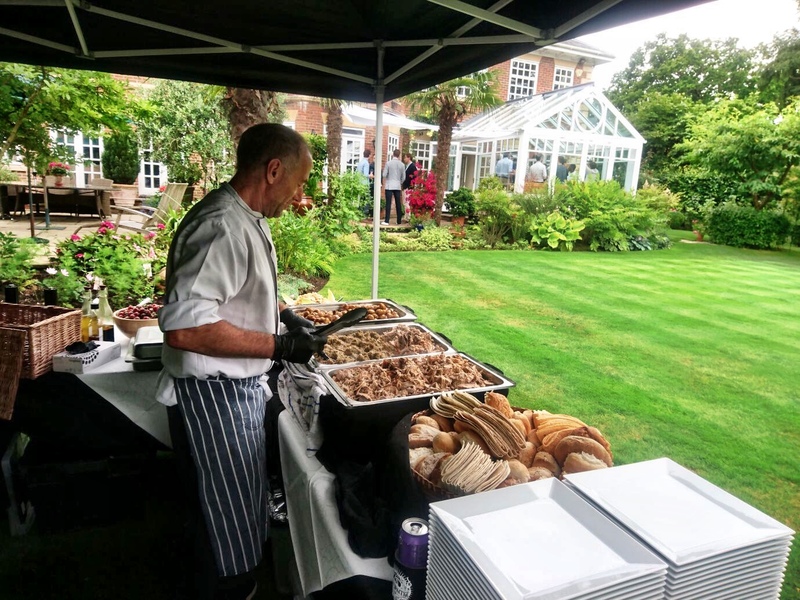 The BBQ is a great British tradition and Brighton hog roast and spit roasts are one of the finest ways you could cater for that special occasion, whether it’s a Birthday; Christening; Wedding; Anniversary; Corporate event or a general celebration. All our hog roast machines are made in-house and come in a range of sizes, with a various attachments for any number of meats to be cooked – Our hog and spit roasts are gas powered too, allowing for both indoor and outdoor cooking! The hog roast Sussex catering service we provide goes beyond food, it’s theatre, an attraction in itself that’s always a topic of conversation amongst guests. The spit roast, as a method of cooking meat, has been around for almost as long as humans have controlled fire and is hugely popular throughout all corners of the world. Spit roasting has even seen a revival in popularity over recent years, as more and more we come to understand the importance of eating real, good quality food. One of greatest things when doing an Eastbourne hog roast is the way in which the meat is cooked – as it cooks the meat has a tantalising self-basting process, slowly turning over the flames ensuring the juice is constantly re-absorbing through itself, resulting in a mouth-watering texture and taste that’s impossible to replicate with other cooking methods. And the crackling, I hear you say? To die for! 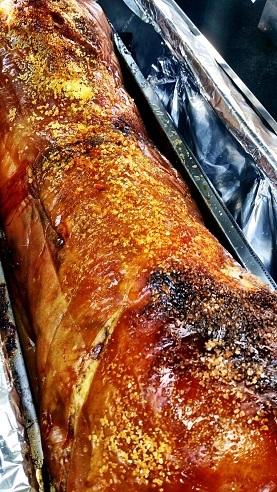 Seasoned on the client’s orders, our crispy carcass-stripped crackling is a real crowd pleaser and puts many a Michelin starred chef to shame! It’s not just our meats (hogs, chickens, whole lambs and more) either, we go one further and provide an array of tongue-enticing side dishes that everyone’s sure to enjoy. As you might have realised, at Horsham hog roast we take great enjoyment and pride in not just our machines, but also the quality of the food we provide. That’s why we ensure all ingredients and produce used are at the very height of quality. Having seen first-hand many catering companies pass off sub-standard food, we set out with the goal to not only be better, but to be the best we can. With the goal of both reaching and exceeding the expectations of our clients, we use only the finest produce and machines, providing you with only the finest service, leaving you, your family, friends, and guests with only the finest experience and memories! Keeping our mantra in mind – as well as our depth and breadth of experience – you can be confident in the knowledge that our excellent quality of service and food are maintained for every event, big and small. So look no further, our experience, passion, professionalism and machines are everything you could want and more, if you are based around Gatwick, Horsham, Bexhill, Worthing, Brighton. 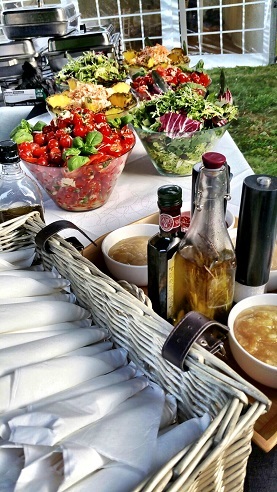 Throughout this website you will find a whole host of information designed to make you certain that Spitting Pig Sussex are the perfect choice for your next catered event. Hog and spit roasts are now becoming immensely popular and there are a vast amount of companies available on the internet to choose from. The problem is with so many companies available, how do you choose one you can trust? The sad truth is there a vast amount of companies operating who work as a part time outfit, often with very little experience without the correct equipment and without proper certificate or training. The catering is always essential to the success of an event and therefore you want to book with a company you can trust. Here at Spitting Pig Sussex we are part of the larger award winning Spitting Pig group that has been working in the hog roast industry for over 25 years. 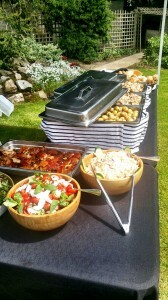 We are fully certified caterers who have a wealth of experience working on hog roast equipment. We work all year round an employ up to four different teams that that capable of producing some of the most succulent meats whether it is for a small barbecue in your back garden or a large outdoor wedding. Oh, the drama that can accompany a family reunion! We’re all familiar with the issues that can crop up when assembling the whole family together, but how and what to feed them can be the least of your worries. Whether you decide to plan an informal or formal event, indoors or outdoors, we can handle all the details of how to feed your family, and you make the choices of what menu best serves your purpose. For a more informal setting, you may opt for an outdoor, informal buffet style. Sausage, kebabs, burgers, and spare ribs as well as a variety of side dishes and desserts are available, or you can select a combination of main courses. We will adjust any sample menu to accommodate what you desire. Vegan and vegetarian options are also available. You can also choose a more substantial menu with our specialty meal of a whole roasted hog, which can feed up to 125 people. Other options include lamb, beef, chicken, or turkey. All side dishes are designed to compliment whatever main course you choose. Our planners will assist you in making the best choices available to fit within your budget. Once you’ve chosen the format and location, we’ll take care of the rest. Our full team will arrive several hours prior to the start of your event, and the staff of servers and a catering assistant will attend to every detail. They’ll set up tables, linens, and dinnerware, serving your guests from either the buffet line or in a sit-down setting. The personal chef assigned specifically to you will begin preparation of an impressive meal, and all food is guaranteed to be hot and served on time. Every dish is prepared fresh and on site, including the delicious side dishes you have chosen to accompany the delectable main course. Estimates are available by phone or in a personal interview, and our planners will make special note of any details or specific requests. We won’t miss a thing! Our all-inclusive catering service also takes care of removing the remains of the meal and disposing of it discreetly, so your family can continue to visit and enjoy each other’s company. Although planning a family reunion can be stressful and seem overwhelming, we can help you prepare an event everyone can enjoy. We can suggest an appropriate location, depending on your desires, and take care of all the niggling details that can drive you as crazy as Aunt Martha’s stories of her health or Uncle William’s tales of when he was in the military. You will have plenty to deal with without worry about how or what to feed your family members, and with their mouths full of our delicious hog roast Sussex meal, they’ll pay more attention to that than talking about Cousin Mary’s latest escapade.